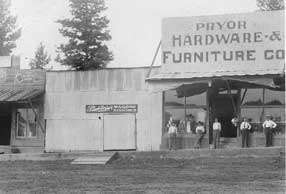 To find the true beginning of Pryor Funeral Home, you have to go back to when Mr. Tildon Pryor opened Pryor Hardware Store soon after the town was incorporated in 1906. From that hardware store, Mr. Pryor sold caskets. His son, Lee Lon, delivered them to the homes of the deceased where the funerals were held. After some time, not only did Lee Lon deliver the caskets, he also carried a portable embalming kit to the deceaseds' homes. By the late 1920's, Lee Lon founded a separate business to assist families in carrying out the funeral service for their loved ones. That first funeral home was in an old house across the road from the present funeral chapel. 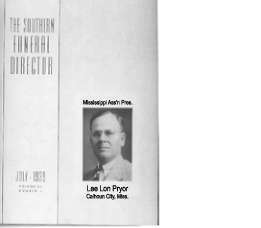 In 1939, Lee Lon was selected as president of the Mississippi Funeral Director's Association, and his picture appeared on the cover of the July issue of The Southern Funeral Director. 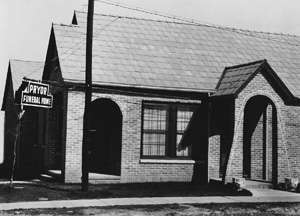 1939 was also the year Lee Lon built the funeral home that is still in use today. In The Monitor Herald's announcement of its formal opening, Mr. Pryor made the statement: "We have equipped this fine new home so as to give the most satisfactory and useful service possible to the people in time of sadness and sorrow." Of course, several renovations and expansions have taken place through the years to better accommodate the needs of those we serve. 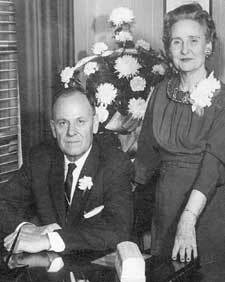 Following World War II, Woodrow Wilson joined Lee Lon Pryor in the business and eventually became a business partner. He remained a part of the business until 1985, when he retired. 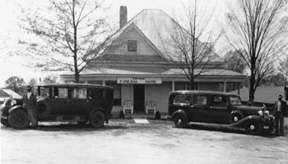 At that time, Lee Lon's granddaughter and her husband, Frances Maurine Pryor Burt and John G. Burt took over the funeral home. © 2004 Pryor Funeral Home, Inc.